While I love posting interesting Lego projects on GeekTech, never before has it been so exciting to write about Lego as right now. 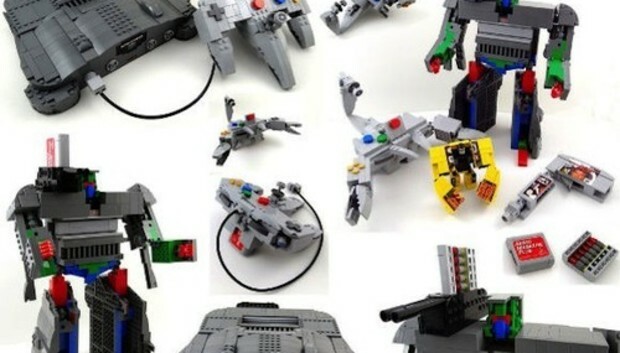 Check out Baron von Brunk's latest Nintendo 64 Lego Transformers. The artist's new Lego project consists of four transformers, all made from original Lego pieces or Technic parts. There's a Lego Nintendo 64 (Ultra Hexacon), a controller (Tetragon), a Donkey Kong cartridge and a James Bond Goldeneye cartridge, all of which turn into robots smoothly--no need to remove parts or rebuild. A contest this summer actually spurred Baron von Brunk's Legoformers project. The cartridge Transformers apparently took the longest to make, due to the difficulty involved with the dynamics of turning a box into a cool ape or scorpion. Personally, though, I think these are the best. The downside alas is that even though Baron Von Brunk published his designs on Instructables, he has yet to provide any guides for building them yourself. Don't let that keep you from making your own inventions, though!